Infidelity Investigator Melbourne helps you to determine? Do you suspect your partner is being unfaithful? Having to deal with a relationship breakdown of this magnitude is one of the hardest things a person can go through. It’s perfectly reasonable to respond a reasonable suspicion of cheating with resentment, anger, fear, and sadness. If you are at an impasse, and cannot confirm nor deny whether or not your partner is being unfaithful, you need the truth. You need truthful answers you can trust not only for legal, financial, or family reasons, but also for your own emotional and mental wellbeing. • All investigations are undertaken with careful scrutiny, discretion, and professionalism. • You can expect genuine compassion from our infidelity investigator Melbourne consultants; we are aware of the stress you may be under and will remain mindful and considerate at all times. • Understand that we will always tell you the truth about things uncovered during the course of an investigation. We don’t sugar-coat or conveniently forget details which may be of use to you. The investigation of adultery cases is one of our most important jobs performed in Melbourne. We understand the huge impact adultery has on the lives of those affected, as well as the enormous legal and financial implications. Our infidelity investigator Melbourne consultants here in Melbourne are highly trained, discreet, experienced, and professional. We understand how and where to find the truth about your partner without them ever becoming aware of the investigation. Care and compassion for clients during their time of hardship and turmoil is paramount to our approach. Your best interests are our best interests. You can rest assured that if your partner is adulterous, our investigation will be uncompromising in its detail and comprehensiveness. At the end of the day, we are professional infidelity investigator Melbourne consultants, so you can trust us even with such a deeply personal or emotional situation as an adultery case. Once the investigation is complete, we are more than happy to talk things through with you and offer any advice we can to get you on the right track. Do you suspect that your partner is being unfaithful? If things seem ‘off’ all of a sudden between you and your partner, it is perfectly reasonable to assume that something may be going on behind your back. As difficult as it is to accept, infidelity is an unfortunate reality in many relationships. However, there are certain instances in which infidelity can have immense legal or financial repercussions for those involved, so if you suspect that your partner is being unfaithful, you may need hard evidence in order to protect your legal interests. •	Erratic behaviour: If your partner has begun to act in an unusual or strange manner in general or about certain things, they may be trying to hide something from you. If you notice an unexplained change in their usual work routine for example, and they refuse to adequately explain their deviance from routine, you may have grounds for suspicion of infidelity. •	Signs of discomfort or coldness towards you: If your partner has been acting differently towards you lately, they may be experiencing feelings for someone else. If they seem uncomfortable with you in public places or at functions, for example, or if they no longer express the same affection or joy towards you as they once did. •	Communications: If your partner begins to hide their phone, computer, or other communications devices from you, it may be a sign that they are talking to someone who they’d rather you didn’t know about. This behaviour should be particularly troubling if it persists for some time. Of course there are many other indicators of infidelity, and these can and do vary enormously based on the circumstances involved, but the above three key indicators are good points of reference when it comes to deciding whether or not to begin an investigation into your partner’s activity. •	As security and investigation professionals we have access to specialised resources, such as equipment, information, and experience that enable us to carry out successful investigations in an efficient and cost-effective manner. We are a fully accredited investigations and security firm with over 15 years worth of experience. We have dealt with many complex and lengthy investigations, and have provided security services to government clients in a variety of settings. We are also members of the Association of Investigators and Security Professionals, and we believe that this reflects the commitment we maintain in regards to professionalism and efficiency. The first step in any successful infidelity investigation is gathering as much background information from you as we can about the case and any suspicions you have about your partner’s behaviour. Upon contacting us by email or over the phone, we will have a detailed discussion with you in order to obtain any relevant information, including any evidence you may have that provides the basis for your suspicions. Please try and be completely honest with us when providing this information. There is no need to sugar coat or gloss the truth, we are professionals who handle these investigations routinely so we are focused on pragmatics rather than personality judgements. The more details you are able to provide, the more understanding we can gain about your case, the better we can plan a successful and efficient investigation. Remember, any information you provide will be completely confidential. Any evidence we obtain can be destroyed or transferred to you at your request. Once we have a broad understanding of your situation, we will begin to develop a plan for the investigation. Remember that you are always in control though, as at the end of the day it is your investigation and you have the most at stake. We will be in contact with you throughout the investigation, at particular times chosen by you, in order to keep you thoroughly in the loop as to how the investigation is proceeding and any special requests you may have. After obtaining all the relevant details from you, and putting together a plan of action, we can commence our investigation. Investigative methods used will depend on the requirements of your case. We may use covert surveillance techniques, including information surveillance and photo or video surveillance. We can also track/record the movements of the people you suspect may be involved in the infidelity. We will inform you of the investigative methods chosen during our initial discussion over the phone, or by email. Whichever methods we happen to use, we assure you that complete discretion is a part of any successful investigation. We will never inform any of the suspected individuals that we are investigating them, even after the investigation is complete. Once the investigation is complete and we have achieved an outcome, we will compile the evidence and present it to you with complete transparency and impartiality. Findings are usually presented in the form of a written report as well as any photo, video, or other data files that we have collected during the investigation. What happens once the investigation is complete? As professionals, we are committed to providing our clients with ongoing support to assist them in dealing with the legal and emotional processes involved in infidelity cases. Having handles countless infidelity investigations over our 15 year career we have built up an awareness of what works for clients when it comes to moving on from infidelity. If you have suspicions about your partner’s fidelity, or you suspect that they are having an affair, the most practical way to settle the matter is by getting in contact with the best infidelity investigator Melbourne has to offer! Giving us a phone call and going over the details can be a good way to get the issue off your mind, as talking things through will enable you to externalise the emotions you are experiencing. Contact Guardia now (03) 9863 9701 or leave a message on our contact form. 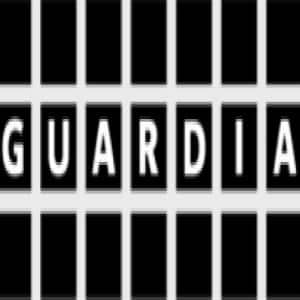 If you’re looking for a security companies Melbourne, or security services Melbourne today, or security companies Melbourne, contact Guardia Risk on (03) 9863 9701, or send a message and one of our staff will follow up within 12 hours.